When you get to December there are lots of bills and you're having to buy lots of presents. 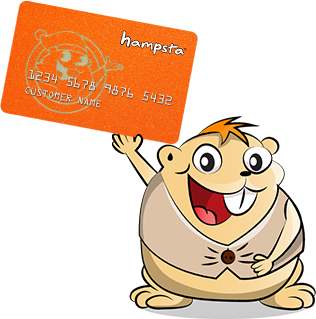 With hampsta I have peace of mind that there's this great big sum of money that I haven't thought about all year and I'm able to buy everything I need. It's a disciplined way of saving for Christmas, and this way I'm sort of 'forced' to saving and it makes it easier at the end of the year. It's been a little bit tough the first two Christmases, and hampsta just seems like a good option. A few dollars a week can make such a difference! The main reason I became a hampsta customer is I wanted to make Christmas more easier for me and my family. There's 8 of us in the house and I have 2 children myself. Christmas sneaks up on you, you get to November and you know it's Christmas the next month and I wanted somewhere where I could save my money. Christmases were bad. I have a young child so getting him what he wanted, I wasn't able to save during the year. I did Chrisco's but that wasn't something that I wanted. I wanted to have the freedom to get what I wanted and not something pre-packaged.